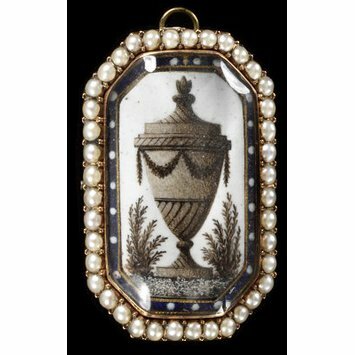 Memorial jewellery to honour the dead is one of the largest categories of 18th- century jewellery to survive. 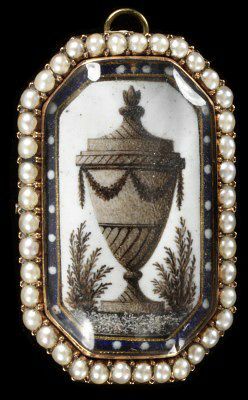 Many mourning jewels have inscriptions that record the name and dates of the dead person. 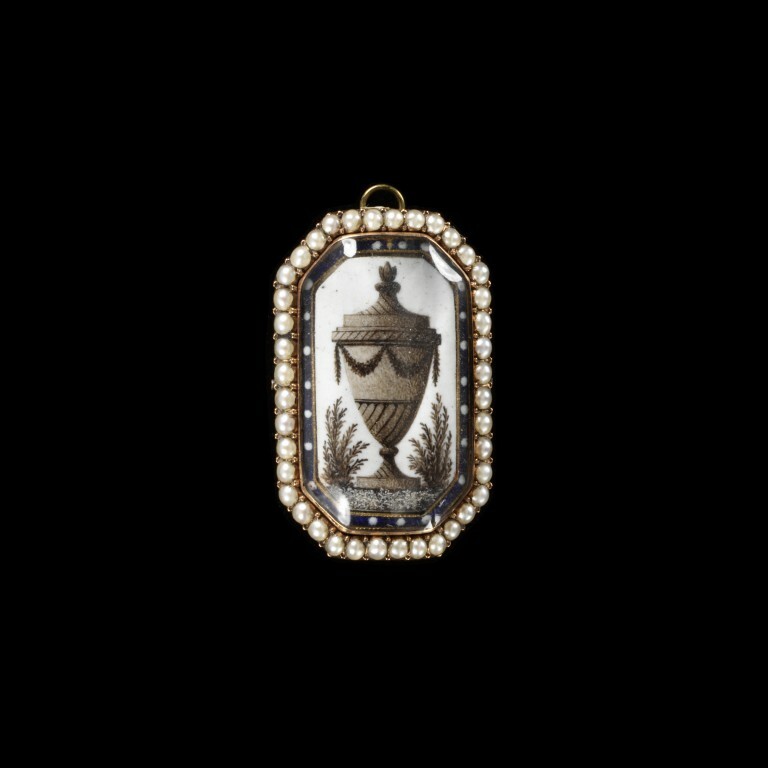 From 1760 there was a new vogue for memorial medallions or lockets. These became especially popular in Britain, though similar work was produced throughout Europe. The lockets could be bought ready made, and the designs were standardised. Neo-classical motifs of funerary urns, plinths and obelisks joined the more traditional cherubs, angels and weeping willows. Hair was preserved as curls within the locket, or cut up and used to create designs.